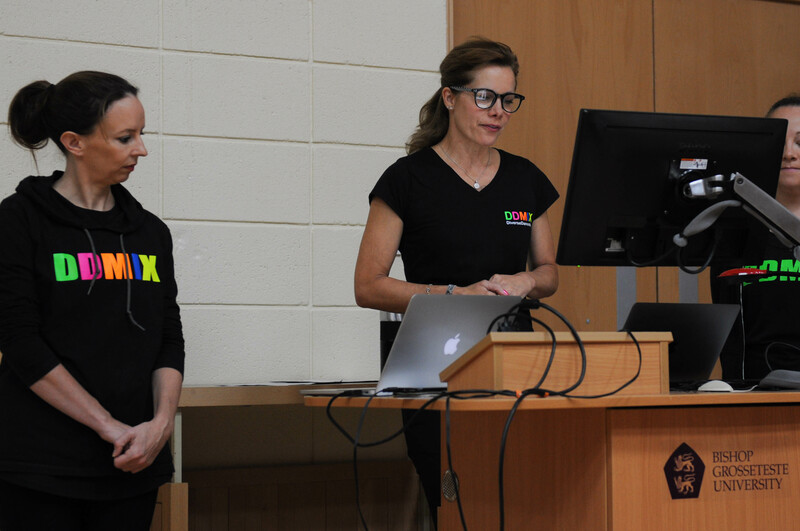 Ballerina and Strictly Come Dancing judge Darcey Bussell visited Bishop Grosseteste University (BGU) in Lincoln today to speak to trainee teachers about DDMIX for Schools. Darcey and her DDMIX team worked with over a hundred trainee teachers from Primary and Secondary programmes from the School of Teacher Development at BGU. DDMIX is a full-body aerobic workout for children created by Darcey Bussell and based on 26 different dance genres, from Arabic and Japanese to the Charleston and the Flamenco. The day opened with a special lecture for all year groups where Darcey introduced the programme. Students then split off into smaller groups to participate in sessions with the DDMIX team. Speaking about DDMIX Darcey said, “Movement to music makes children come alive and changes the way they feel. With the DDMIX programme, children get an exciting and diverse learning experience that is physical, aerobic and high time on task. These benefits should be enjoyed by every child. DDMIX came to BGU through the work of Helen Thornalley, Subject Leader for PE and Dance for the PGCE Secondary course at BGU, who arrived at the University in January. Helen has worked with Darcey and DDMIX for the past three years on training teachers and reflecting on how this work is implemented within schools. Feedback from the trainee teachers is vital for DDMIX to find out what works for children in schools. Helen said: “The opportunity for trainee teachers to work with these professionals who are at the top of their game, and the sharing of their materials with prospective teachers for schools is amazing. 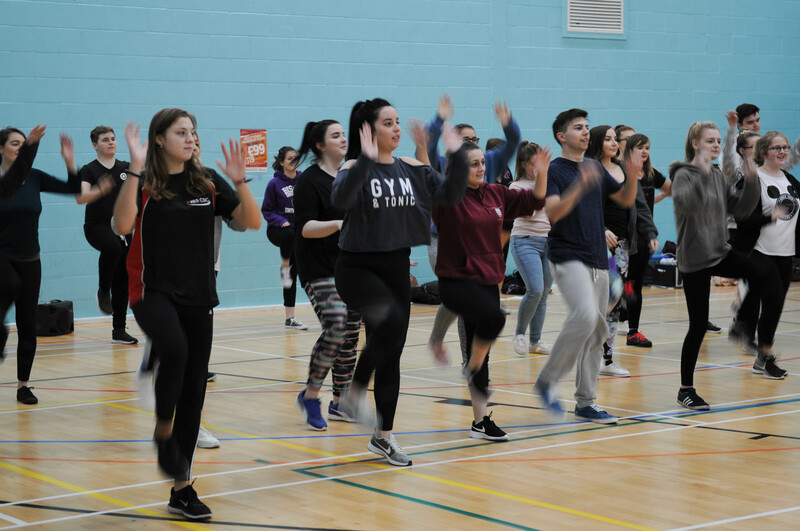 Members of the DDMIX team introduced BGU students to a range of different dances and activities that can be utilised when students go into schools on placements. Jessica Castro, first year BA (Hons) Primary Education with QTS student, was full of praise: “The session was really good. I thought it was great how they split everything up into sections, which will help us with how to teach the children. “They haven’t just thrown us into the deep end, they’ve shown us how to work with the children and taught us the dances as well so I thought that was really clever. Find out more about Training to Teach at BGU.